One Blessed Mama: The Ultimate Blog Party! Praise God I am a sinner who has been washed in His blood and I am FORGIVEN! I am a Bible believing, Christ follower who loves to be a part of church ministries. 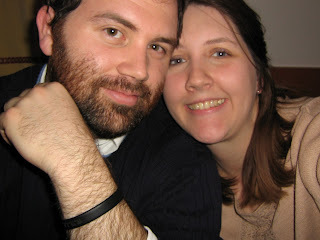 I am married to a wonderful man, who I am thankful to be a helpmate and companion to. God has truly blessed me. We have two wonderful children, Dylan who is 3 yo and Lincoln who is going to be 1 yo in two weeks (My little baby!!! tear...). I was sexually assaulted and my dream is to tell young girls of how Jesus can help you overcome it all. I am an only child to two great Christian parents. I am blessed with many friends who encourage and minister to me every day. I am going to be starting homeschooling this fall and I am very much excited and looking forward to that adventure! I love being frugal. We follow Dave Ramsey's financial plan and we are very excited to be doing what God would want us to do with our money. I love spending the summer growing, harvesting, and preserving our own foods. We are trying to go totally homemade and organic with our food and it is proving to be an adventure! I want to learn to get into sewing and making our clothes. We live in beautiful (haha!) Ohio where the weather always keeps you guessing, but I love it anyway. My dream is to have 6 or 7 children but I suffer from a bad cervical conization and PCOS. My goal in this blog is bring you the real musings of a woman who is living a life she never expected, but LOVES every minute of it. I want to bring encouragement and Jesus to women who read this blog and I want you to feel my love for my Sweet Jesus, family and friends. I want to teach you some of my ideas on how to get past these hard times and become debt free. I want to bring you along with me as I begin the highs and lows of homeschooling and also on my quest to get my family health physically, mentally, emotionally, and spiritually. I am so excited to meet you all! Im stopping over from the Party....Loved your list. It was nice to read about you. Popped on over from UBP to say "hi." Hi! Hello, just popped by for a visit. Lovely family. Stop by at Brimful Curiosities if you get a chance. Midwest gal myself. Nice to meet you. I'm so glad God is using you by sharing your story. I have one 3 year old daughter and another one the way! I have two blogs, but I'm participating with the party at my book blog -- Teen Lit Review. I'd love it if you stopped by. oh you've got cute little ones! glad you've joined the party, and your attitude is great! and I'll be praying for the right people to find your site! Love your blog!! Happy Partying! i love what you hope to convey and accomplish with this sweet blog! you sound like you have a lot to share to warm many peoples' lives! here's to the many posts ahead of you!! It's very nice to meet you...I'm here via the UBP. We are also big fans of Dave Ramsey! I've been washed by the blood of Christ too. And I'm trying to go all organic and natural with our food too. It was so nice to meet you. Hi Jodi! So nice to meet you. Party hopping hippie grandma in Colorado here. Just stopping in for the party to say hi! Love your blog and all that you are sharing. I'm a fellow homeschooler...stop by for a visit! Just came by from the UBP. Nice to meet you! And you are so brave for wanting to share your story to help young girls! May God bless that ministry and you! Hi, I was blog hopping but just had to stop by your party long enough to say "Hello"! My name is Jodi ;)and I am a young Christian stay at home Mommy of two ... 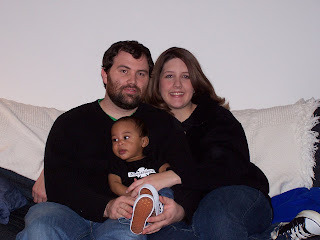 I'm not a blogger but I have just begun a new online community ... www.birthforums.com ... I would LOVE to have you come join in and share "Mommy advice"!! By the way ... the other day when I was surfing I ran across a sweet blog of a girl in Canada and she had alot of posts about living with PCOS ... www.keeperofthehome.ca ... just thought you might be interested! Hi there. I'm visiting from the Ultimate Blog Party. I am looking forward to reading your blog further. 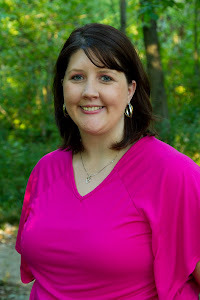 I am a Christian wife and mom, and I'm always interested in finding new blogs and blog friends. Nice to meet you! I'm going to look around a little bit!